Taking full advantage of social media and digital content, the marketers can attract the audience while simultaneously growing their customer base. But, starting promotions without appropriate experience and knowledge of what lies ahead could pose a threat towards accomplishing goals. 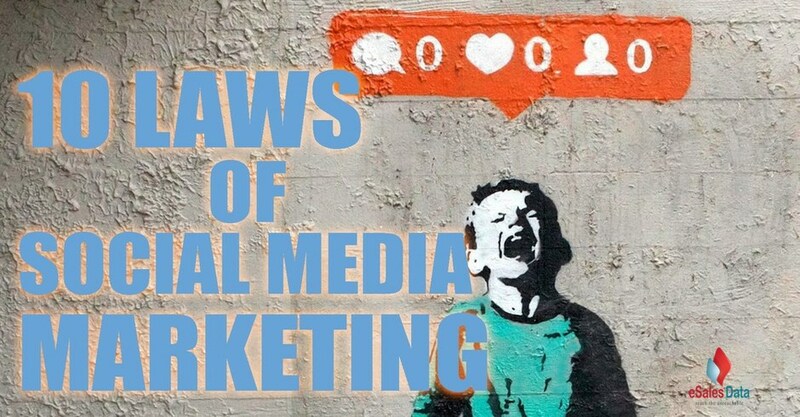 Social media marketing has a certain charm that is best understood by being eloquent in the key areas that drive engagement on this platform. Here are the 10 rule of thumb that will help you serve customers in exchange for loyalty. Getting sales with the social media and content marketing will lead to dead-end negotiations. Listen to what consumers want and respond in a suitable manner. The objective is to learn about things that bring value to the recipients. Once the marketer possesses ideas, they can create content that will act as a driver of lead generation. Acing in niche areas of social media and content marketing will reinforce the brand value and will substantially dilate the results that throwing the spaghetti and finding what sticks. The quality of the leads has prominence over the volume of leads. Brands having 1000 loyal connections will outdo the ones having chunks of subscribers who otherwise evade opening messages after the initial engagement. Success with social media and content marketing isn’t instantaneous. It needs persistent efforts that will eventually lead marketers to the goals. Without dedicated measures, it is unlikely to gain the consumers’ confidence. Nobody prefers engaging overenthusiastic sales marketers volleying emails in batches. Build your audience through high-quality digital content that will hail their attention towards value driven solutions. People who may like your content may even share with their followers widening your exposure within a larger network. And yet again, social media will serve an ideal launch pad for promoting information-rich content. When content is shared on social space, it opens new avenues for a search engine to crawl through pages for keywords making them easily discoverable. Smart marketers invest their time on influencers having sizable subscribers. The subscribers may have qualities matching with marketers target audience. The influencers representing marketers by promoting content to subscribers may unlock access to a pool of potential buyers. When an authoritative voice represents the brand, it is likely to garner attention that would have otherwise taken longer to achieve through traditional means. Audiences dislike brands that sponsor stream of posts boasting products and services. The value proposition is the way to achieving sustainable results. When marketers shift their focus from conversions to the development of information rich content and relationship nurturing, it diversifies opportunities at hand while simultaneously leading to growth. Happy customers are likely to contribute through word of mouth promotions. Whether it is online or offline, the opportunity that comes knocking must never be shown the door. At the core of social media marketing is relationship building and it often occurs with curious customers who may wish to understand what values can be derived by devoting their time and money. So, do not turn away inquisitive, social media user. Be consistent with the content and publish them at planned intervals. Marketers who consider content distribution as one shot event will be at the receiving end for ditching subscribers after a single post. Subscribers feel irked when interaction from the brand they follow is sparse. Engage in conversations that will let them know that they will be heard and responded at when needed. The audience may never hesitate to ebb away should you disappear for a prolonged duration. Mutually benefiting actions have high regards in the digital realm. Spend a portion of your time bringing values to others by sharing their stories and content so that they will reciprocate the gesture.